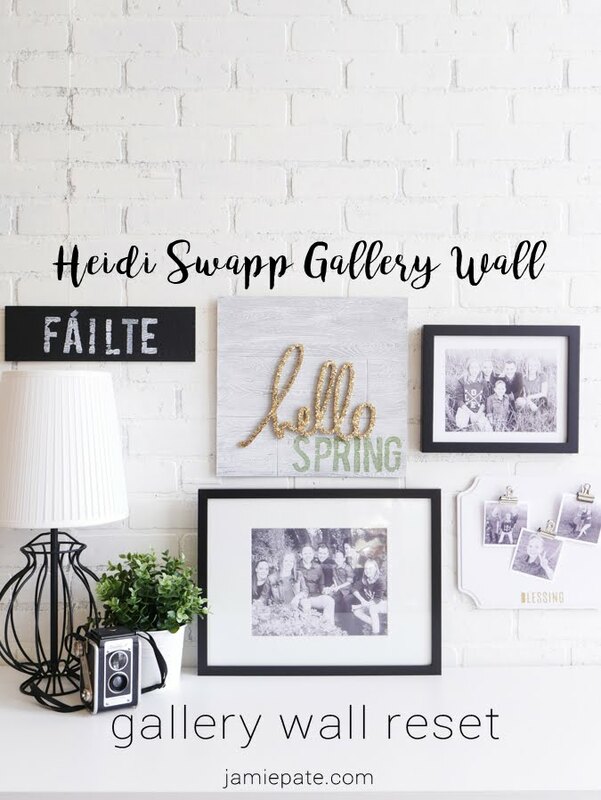 Fresh spring wall reset with Heidi Swapp Gallery Wall Collection. I may be a little late to the month. 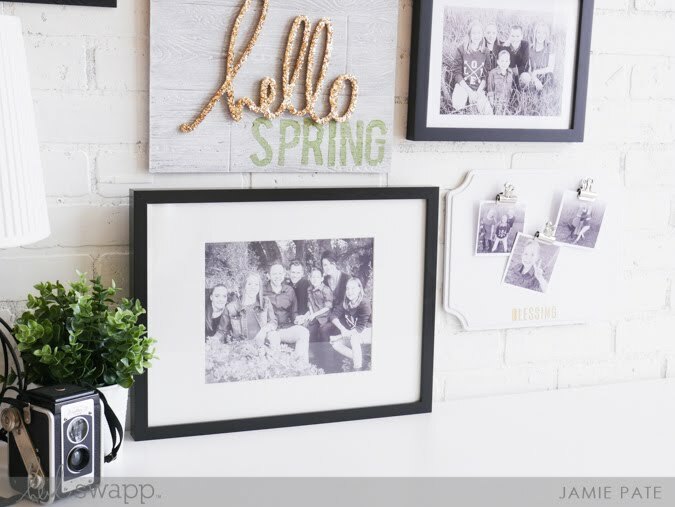 But I finally have a spring wall reset all done. Here today to show it off to you. 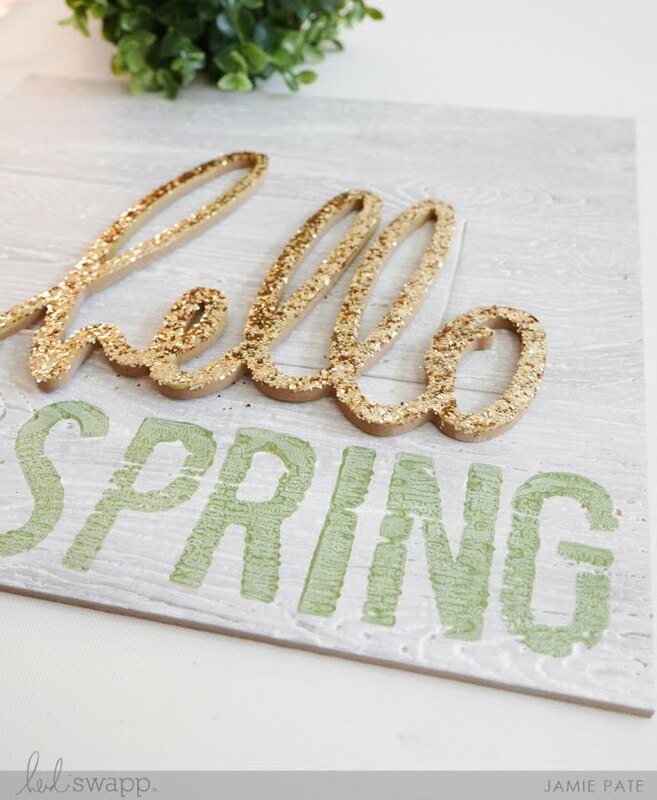 Because I want you to know...this is fun DIY stuff...and it's all available at Michaels Stores ready for your crafty hand to go to work. One of the goals for this wall was to simplify. Less is more right now. 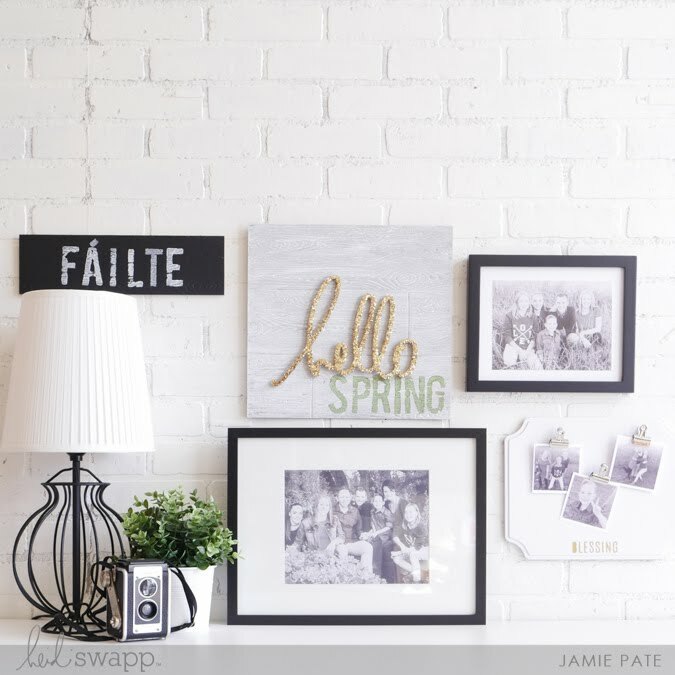 As the grey and cold of winter gives way to the light and warmth of spring (fingers-crossed), I wanted this wall to reflect a sort of minimal look and feel. The focus of this wall is a mixed media piece I have had in mind for a while. 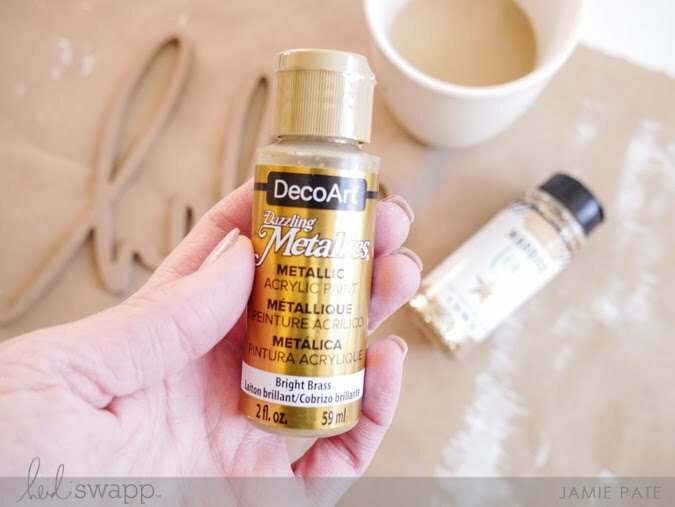 Using Heidi Swapp's Wall Art, Hello, a Gallery Wall pallet piece, plus foam stamps and Deco Arts Metallics, I was off to some personalized wall creativity. Let me show you how this piece came together, then I will take you on a tour of the rest of the wall. 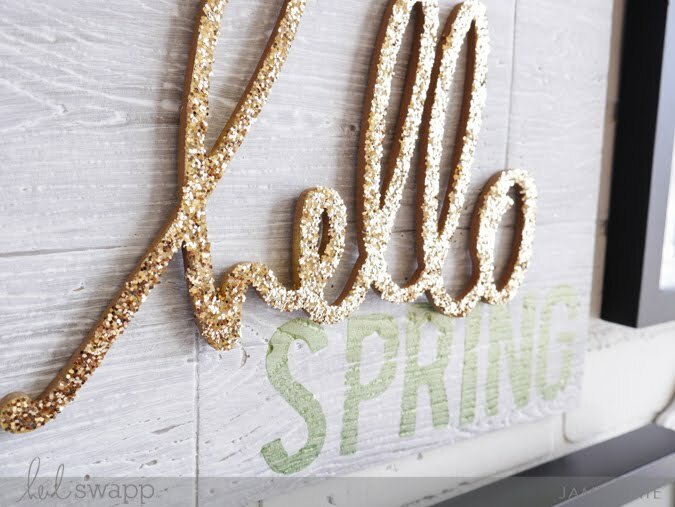 The Faux Pallet Chipboard Sign is such a great canvas. 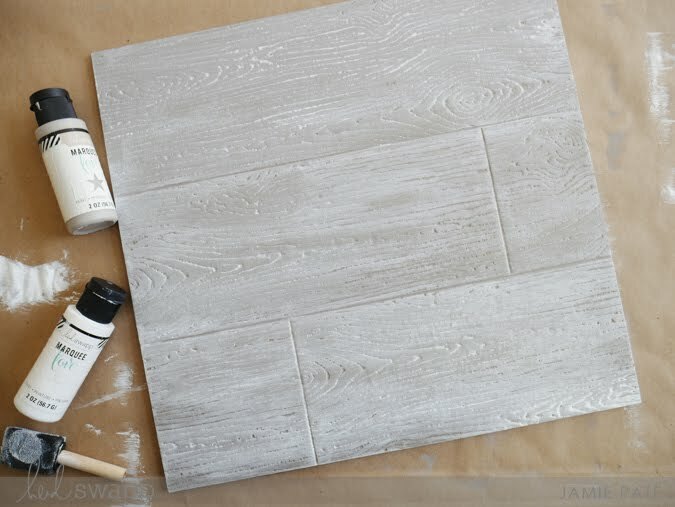 I was going to paint it with the grey from the White Wash Distress Kit (also found at Michaels Stores), but I wasn't feeling it. Instead I covered it with several coats of the white instead. Much happier with where this was going. 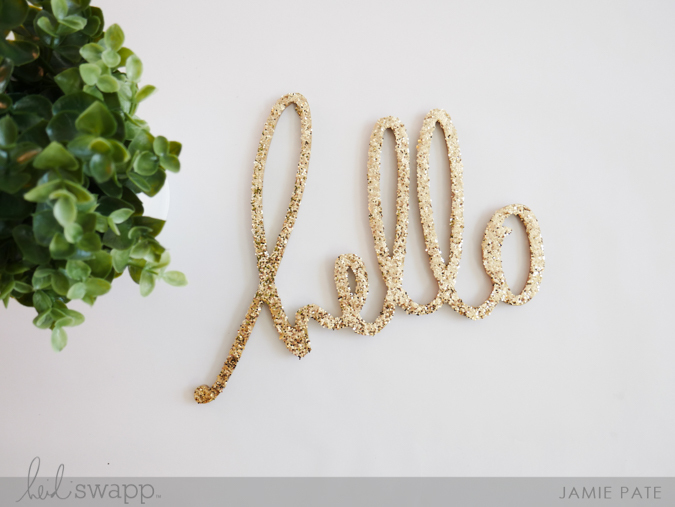 Next, for the Hello Wall Art, I knew I was going to cover it in Gold Glitter, and so I painted the piece with Deco Arts Dazzling Metallics in Bright Brass first. 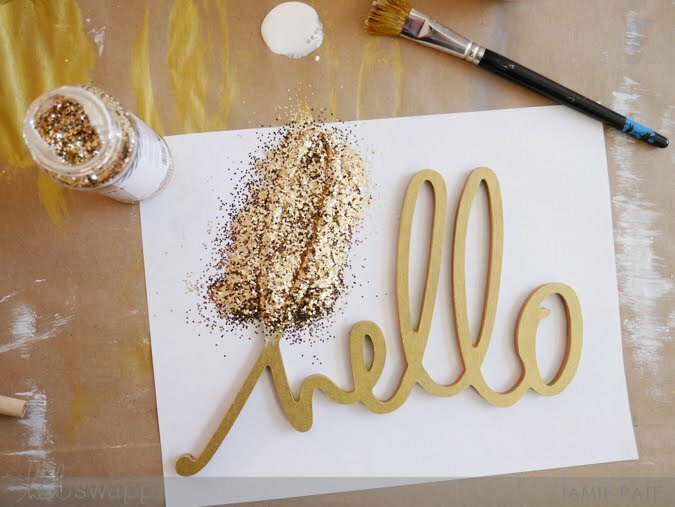 If the glitter missed a spot here or there, the paint would show through and look better than the kraft finish. 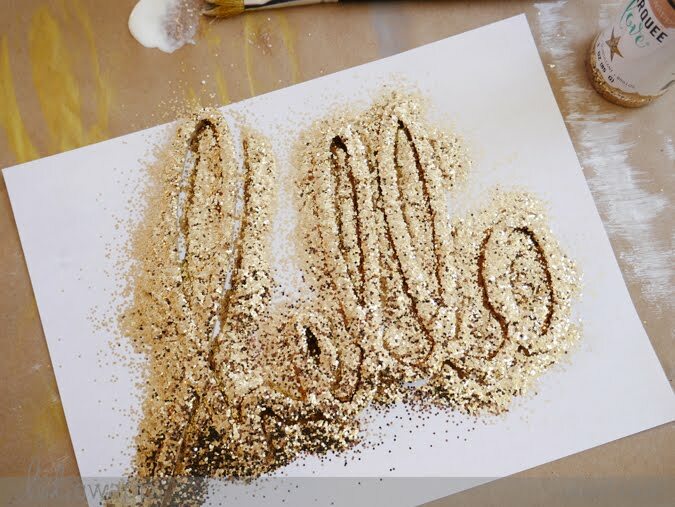 After the Hello was all painted and allowed to dry, it was time for glitter. Glitter is best applied in batches. 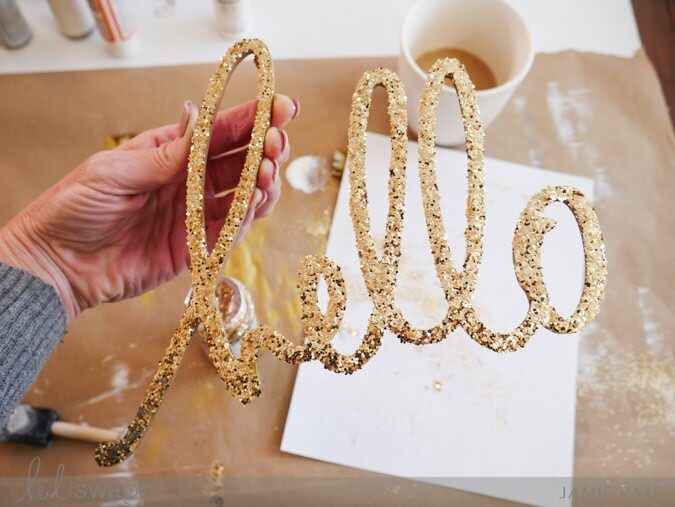 I would add Mod Podge to a section of the letter, and then add glitter. This is what it looked like when all covered. I let it set like this for a bit as it dried. Ta dah! Love it when a plan comes together. This is just pretty all by itself. 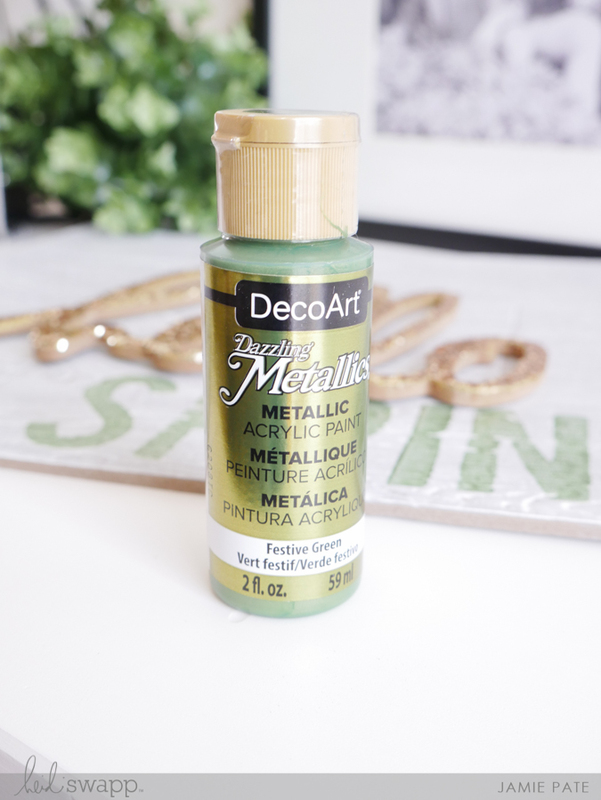 The stamped SPRING was added using the Deco Arts Dazzling Metallics in Festive Green. WHAT a beautiful color this is. And so perfect too! You seriously need to pick this color up. The Large Foam Stamps made for that spring. 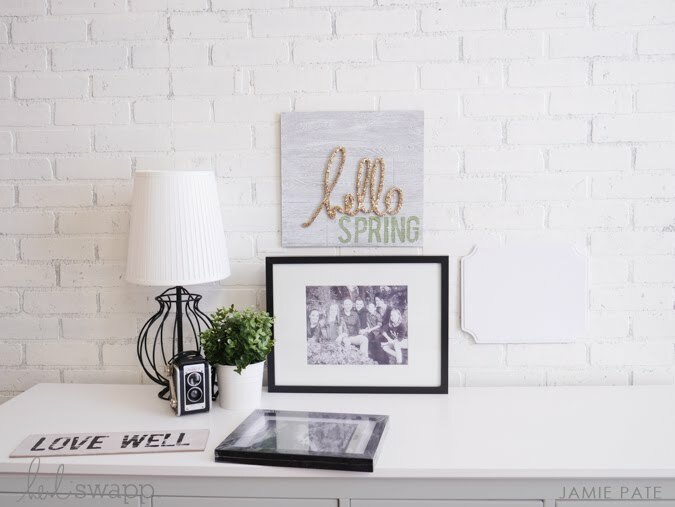 The Hello Spring became my center piece, and the wall element that all the other pieces played off of. A little sneak peek here of the process. 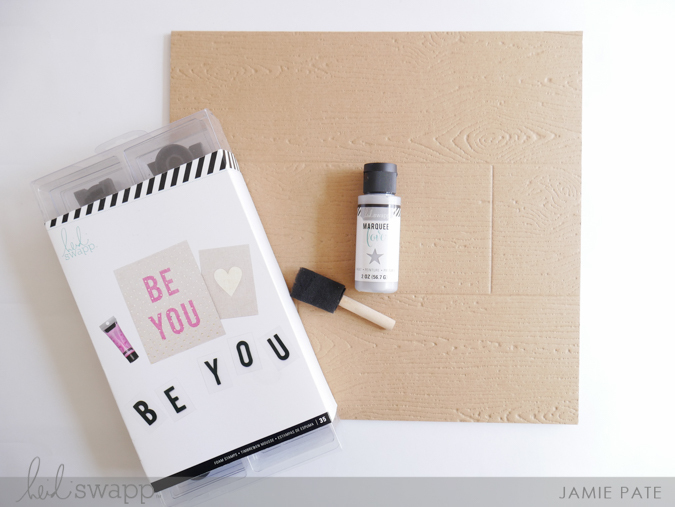 The Small Faux Pallet Chipboard Sign was used in another capacity. It was painted all black. 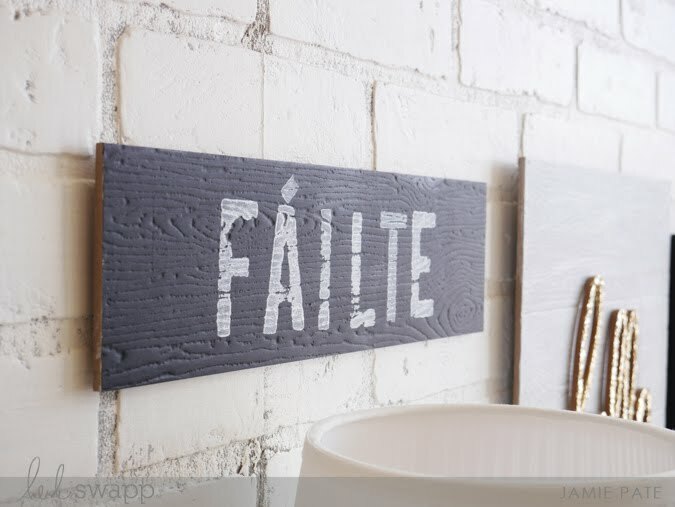 Then stamped with the Large Foam Stamps to spell out this Irish sentiment. Failte. It's pronounced FALL-tcha. It can mean joy, bliss or happiness. It also refers to opening up with enthusiasm to someone who approaches you. Sort of a big welcome. I just like it. The last Gallery Wall piece I will show off today is this Metal Plaque. This was super simple. I just used Gold Metallic Texture Paste and the Mixed Media Wish Stencil to add a sentiment to the bottom edge. 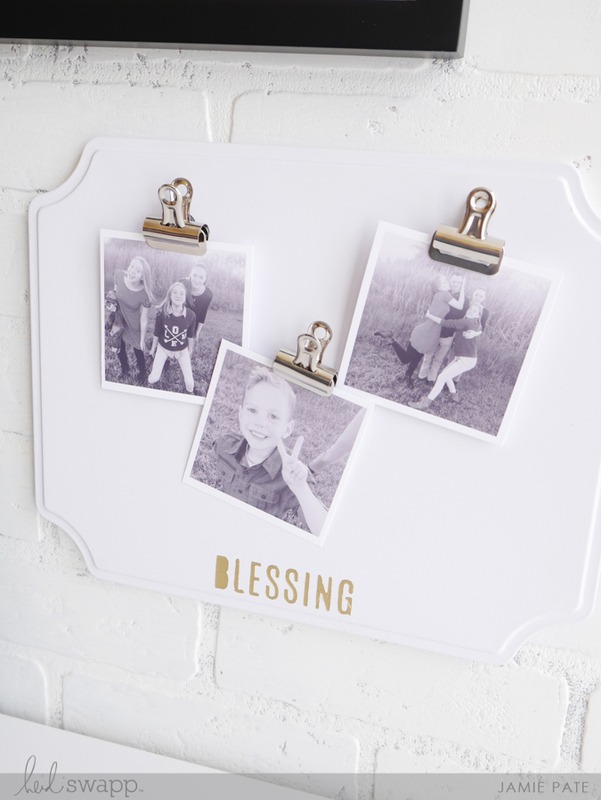 The Large Bulldog Clip in silver were used to hang a few of my favorite candid photos. The frames were grabbed from Michaels too and of course simply hold images of the ones I love. 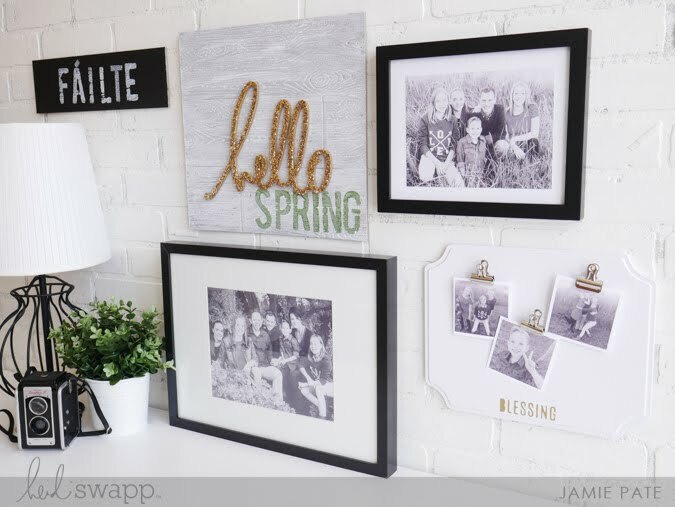 Even though simply pared down, this smallish wall gallery makes for a big impact and greets all who enter my home. Why that makes me so darn happy I don't know. But it does. 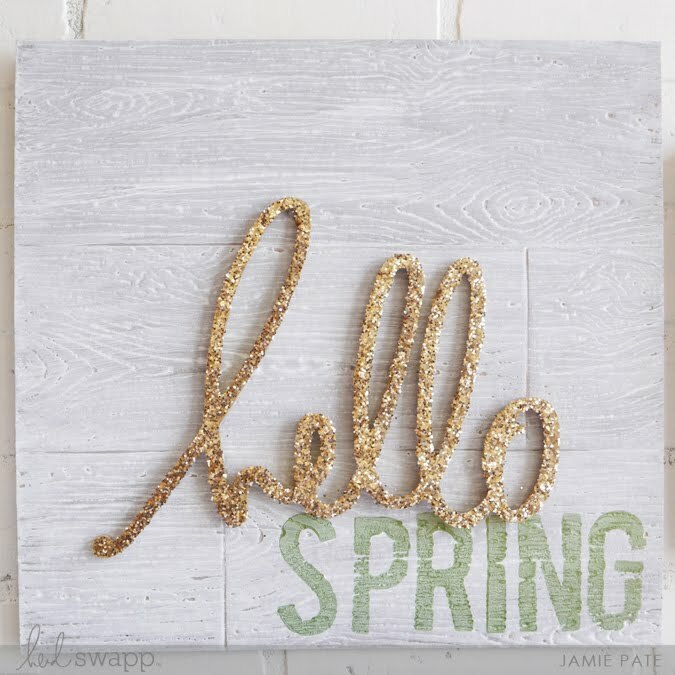 So here's to spring. Here's to a fresh wall reset. 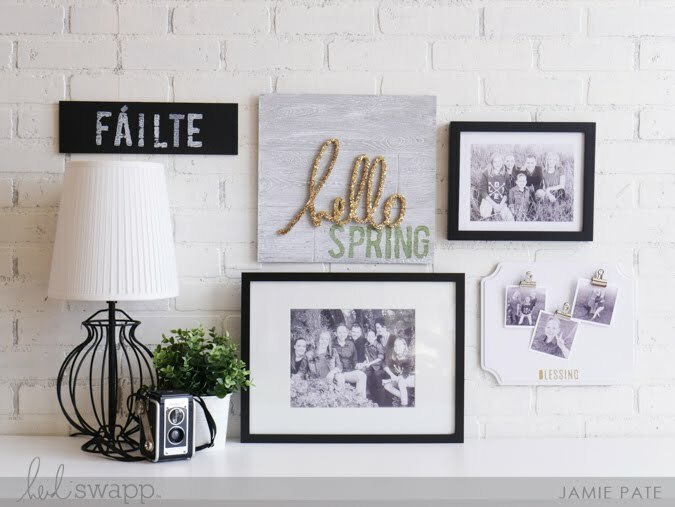 Here's to enthusiastically welcoming guests into one's home with a fresh wall full of DIY impact. supplies: Heidi Swapp Gallery Wall. Wall Art.